ON THE GO OC - Things to do with your family. : Harbor Breeze Cruises and Aquarium of the Pacific Advise Conservation While Whale Watching! Harbor Breeze Cruises and Aquarium of the Pacific Advise Conservation While Whale Watching! 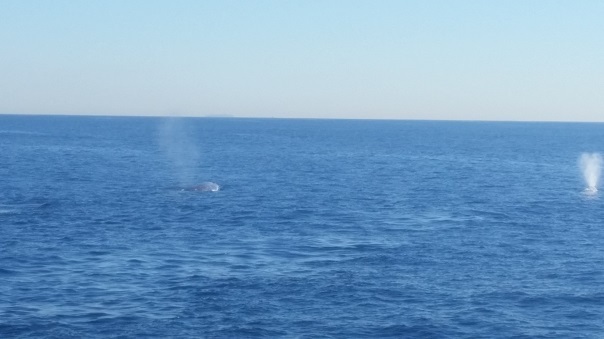 First Time Whale Watching a Success! Thank you to the Aquarium of the Pacific for the invite to board the Ocean Breeze Cruise boat Triumph for whale watching yesterday. 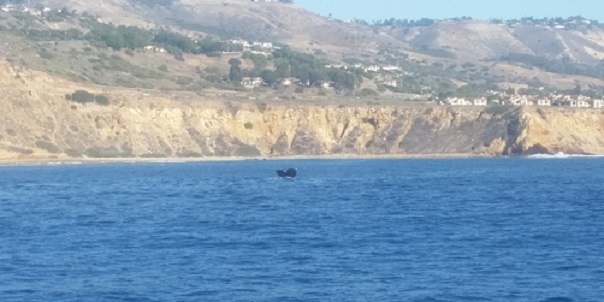 I have always wanted to go whale watching but have never had the opportunity to go and yesterday I was able to take my kids as well. Usually on outings like this I like that my husband comes along but because he was not able to go I decided that it would be worth it because this is a once in a lifetime opportunity to not only see Gray Whales but possibly catch an Orca too! We were scheduled to leave about 11 and return at 1. I myself could stay out at sea for a half day if not more but I thought this was perfect for family time or even a date. The view from the boat looking at land is just breathtaking right now. 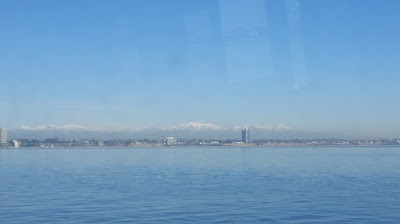 The snow capped mountains with the beach below. So perfect for Southern California. We did get a hot tip that there were some Orca whales near Palos Verdes coastline so the awesome Captain took us there but we didn't see any. Amazing efforts to give us the best experience! About the 2.5hr mark my boy started to get a little restless but I think he had his autism under control for the most part. He loved the fees air in his hair and on his face. He sat and watched the ocean as we raced through it to our next whale spotting spot. He loved the speed of the boat and that there was land on one side of us and open water on the other. Just calming. My daughter was loving it, every moment of it. 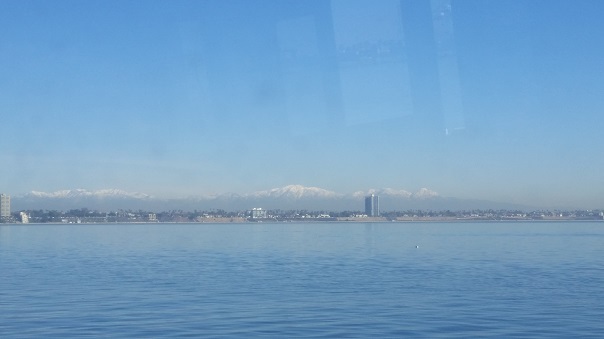 She enjoyed sitting inside and outside of the boat as we toward the coastline from Long Beach out to Palos Verdes. 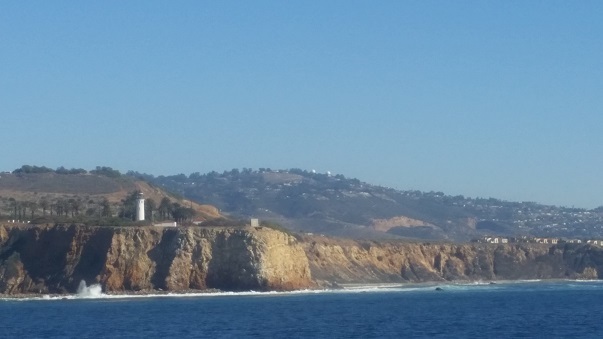 What I loved about this experience for her is that she said there was at least 3 new things she learned about gray whales and our coastline where they pass to travel south towards San Diego. She also learned that it is best not to get too close or make too much a disruption to their habitat. That is cause they live off of their blubber and stored food and when they get startled or have to move quickly they burn their blubber rapidly and that's a lot of energy spent when they need to get down south. I learned that the whales blowing water and air is called Fluking and that the water goes still and changes color when the Whale is near the surface. 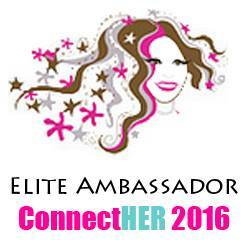 The education and experience was priceless. 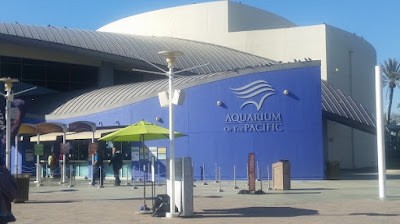 I would have loved to pay a little bit more attention and interview their Whale expert but I will have to return for that possibly on a date with my husband since he missed out and my son was just having a hard ASD day. Whale Tail!! I got chills! It really is a magical and majestic experience to see these beautiful animals in their habitat. 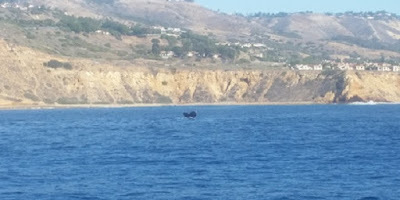 We even got to see a baby Gray Whale! There are year round tours with Harbor Breeze Cruises and you can see the Gray Whales through May. With daily departures leaving weekdays at 12 & 3 and weekends at 9, 12 & 3 there are so many opportunities to catch a ride and see these beautiful whales! I love that Harbor Breeze Cruises has partnered with the Aquarium of the Pacific to have their specialists on board guiding you on every voyage educating on the marine life of our coast. The boat itself or as they are called, catamarans, was super quiet and is low emission. It's whale friendly keel does not disturb the environment. The rates are $45 adults, $40 for seniors 62+, $30 3-11 and under 3 free. There are also group rates of 25 or more. Sometimes there are discounts to the tours on the Harbor Breeze Cruises' Facebook and social media pages. Follow along here Facebook , Twitter, Instagram and on you tube at HarborBreezeCruises . After taking a tour myself I can see why Harbor Breeze Cruises out of Long Beach is Southern California's premier whale watching company!! Can't wait to do this again!!!! I am so sad my husband missed out. We will have to go on a Ocean date and hopefully yell "There she blows"